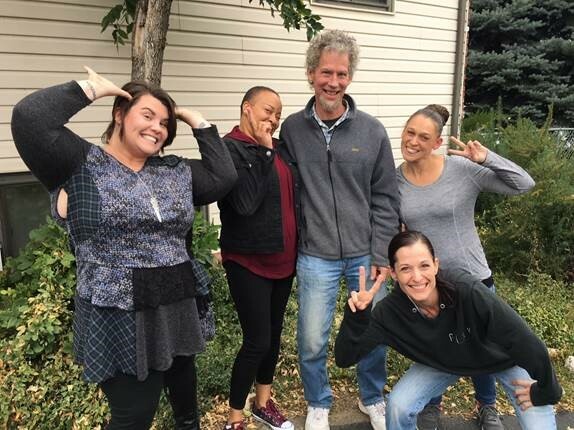 Staff members at Imagine!’s Manhattan Group Home are spending the next few months focusing on creative and sustainable ways to build skill acquisition, as well as developing targeted solutions to promote independence. Each opportunity for skill acquisition is determined with the full participation of the individuals in services, and with the goal of supporting individuals to live the lives they want to live. The goal of this project is to partner with the individuals living at the Manhattan Home to enhance their future quality of life by promoting skill acquisition which will enable them to live, function, and participate more fully in their homes and communities. This is done by promoting choice and control. This team’s hard work is already starting to produce desirable outcomes and is building real excitement among the residents. Reducing verbal prompts and assistance needed for daily living is creating a vested interest with individuals in being an important part of developing plans and expectations for their own long term success. 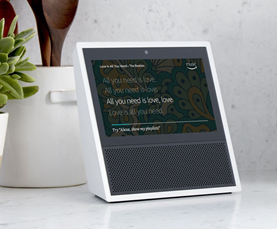 Additionally, acquiring and customizing supportive tools like their new Echo Show and other assistive technologies reduce demands on staffing. The key to this momentum thus far has been promoting choice and control alongside the individuals in services from the beginning through identifying specific daily opportunities for independence, and reinforcing consistent approaches across all staff members, including those providing behavioral supports. The team has done a fantastic job of leading with positivity and celebrating achievements both big and small. Supervisor Towana Vance has done an outstanding job inspiring her team of skill acquisition ninjas to make learning from each other a daily habit and building upon momentum for both staff and individuals. Imagine!’s Innovations department is dedicated to ensuring each goal and opportunity for skill acquisition is determined with the full participation of the individual in services while using person centered practices and allowing the individual in services to determine their personal level of desired engagement. Innovations is assisting individuals to develop a vested interest in their own independence while prioritizing goals that are important to them and important for their health and safety. Towana and her team are ensuring appropriate individualized service and support goals are put in place to reflect the individual’s current desired opportunities for independence and ensuring adequate data tracking is in place to monitor progress and adjust as needed. These are just a few of the collaborative ways Imagine is creating a world of opportunity for all abilities by helping people aspire to, and achieve, a fulfilling life of new possibilities!